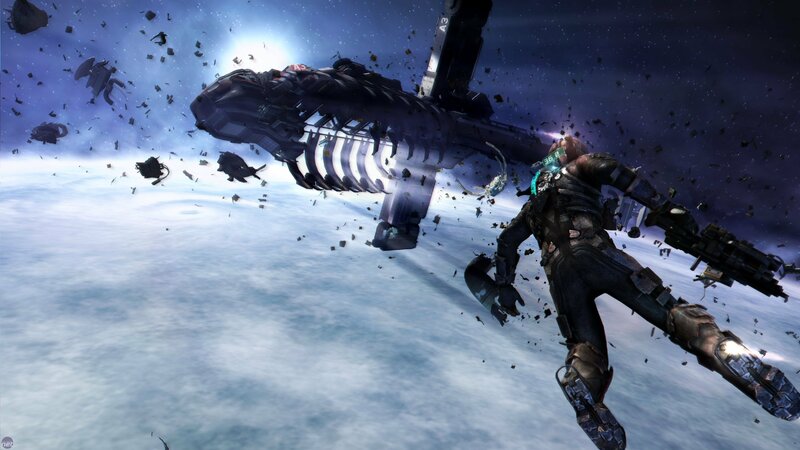 Dead Space 3 is not going to be the Dead Space you might expect it to be. If the segments we played are anything to go by then it's going to be a diluted, refocused and not at all scary version of the franchise. There, we said it. It's not scary. Oh, sure, it has a few token nods in that direction, but they're brute force solutions - momentary jump scares or hordes of monsters charging at you, rather than real cause for dread. The oppressive, lonely atmosphere which defined the first game in particular seems long gone and where there used to be just a handful of enemies, there are now entire waves. Where there used to be the subtle horror of silence, there are now explosions. This isn't a surprise. This is exactly what happened to Dead Space's main influence, Resident Evil. Over time it's only natural for things to evolve and, as Resident Evil showed, those changes can often be for the better. Resident Evil 4 was one of the best games in that series, for example. Dead Space 3 is not Resident Evil 4, however. Not even close and, while it does have a lot of redeeming ideas in it, none of them feel strong or worthwhile enough to recommend the game on. Worse than that though, the schism that's been forced between the survival horror and straight shooter aspects of the game spills into most every element of the design. The new environments, for example, are exactly the sort of tight, echoey corridors that traditionally work well for scary games - but into them Visceral has forced the violence of a standard shooter. Enemies, including new fast moving variants such as the Twitchers who teleport from place to place, fill the screen and the incompatibility means you're either cornered in frustration or lining them up with ease. In the levels we played, there was no enjoyably tense middle ground to the combat at all. We were either struggling to stay calm as the enemies, environment and controls all attempted to communicate different things or we were blithely dropping foes like they weren't anything. This ultimately became our defining impression of Dead Space 3; that it feels like a weak survival horror and a weak blockbuster shooter at the same time. It becomes an even bigger problem when you're playing the game in co-op too, as no matter which character you play as there's the constant feeling that your ally is either totally useless or actively unhelpful. 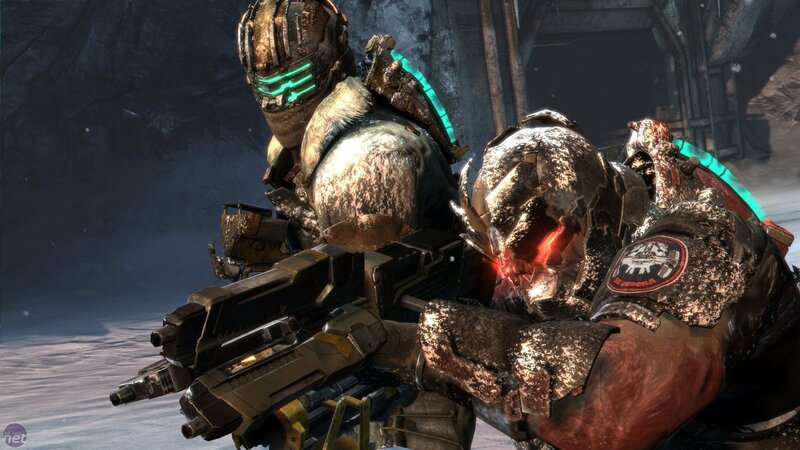 More than a few times in our playthrough with the Dead Space 3's producer did we get irate enough to fire a few shots in his direction - but sadly it was to little effect. There's no friendly fire in the game at all. Joe wants to tell you about FTL. Don't worry, he'll make it quick.